Since 1997 this alert program has been assisting law enforcement nationwide in saving the lives of children and the elderly. A Child Is Missing. Is a nonprofit organization that helps law enforcement in the early search and recovery of children, the elderly, disabled, and college students on campus in the US. Over 800,000 children go missing every year in the US. 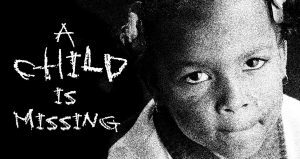 This site will help you understand the importance of A Child Is Missing Alert is to your community and the nation. The purpose of Los Angeles Regional Crime Stoppers is to prevent and reduce crime, by forming a partnership among the community, law enforcement and the media. Crime Stoppers offers anonymity and cash rewards to anyone providing information leading to an arrest. They work to make the community a safer place for all who live or work in the region. Nixle is a Community Information Service dedicated to helping you stay connected to your local and relevant information. Stay connected to your local police department, your children’s schools, your local community agencies and organizations, and the important information from other locations throughout the country that are relevant to you. Nixle’s service is built on the most secure, reliable, and high-speed distribution platform, ensuring that you receive trusted and immediate, geographically relevant information. Information is immediately available via your cell phone by text message, by email, and over the web. Website where the public can find where a person is being jailed and the next court date. For general custody related questions and help with inmate location, telephone (213) 473-6080. For Healthcare Emergencies which require immediate assistance, please call the medical command center at (213) 893-5543/5544. This organization specializes in automotive safety for the public and officers. Included in their website is a Police Department Guide for Safe Drivers, among other guides for safe driving. They are designed to help keep people safer on the roads.